This isn’t the first time that the factions united. When the star Varyan 19-G exploded, many thought it was just a random cosmic event, but it turned out to be something far more sinister. 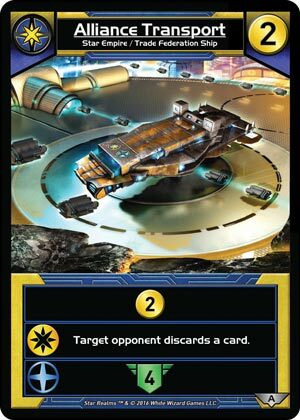 A coalition of pirates and smugglers, hidden deep in the sensor-dampening Morgana Nebula, spent two years using the rich resources they found to construct a giant spaceship, the Colossus. They tested their vast weapon on Varyan, and finding it successful, turned their sights on the Sol system. 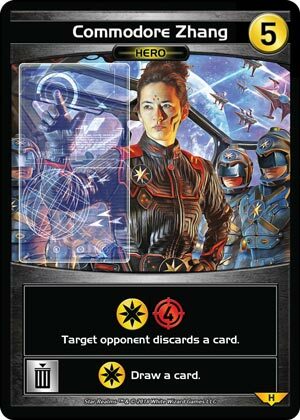 That’s the storyline for Star Realms: Crisis. 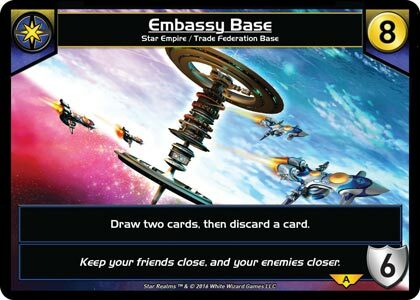 A wonderful tale, told in four parts on the Star Realms app, and written by a handsome Australian man. However, it turns out that being cut off from your home planet, space station, or oozy green bog means you might have to improvise, and unite with a former foe in order to colonize, conquer, and dominate. 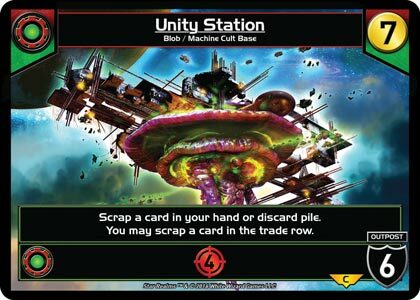 Welcome to Star Realms: United! 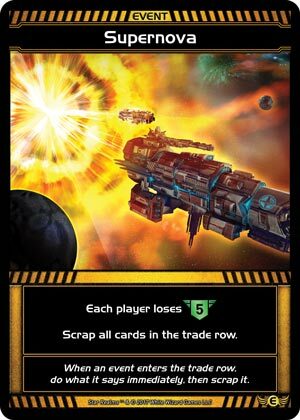 The expansion that takes your favorite Star Realms factions and smooshes them together to make weird and new factions. 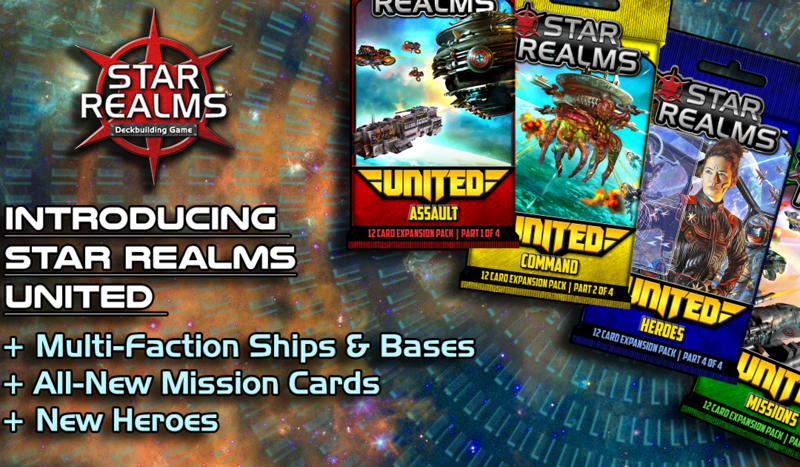 The expansion is fully compatible with any and all Star Realms products. Like Crisis, it comes in four different packs. 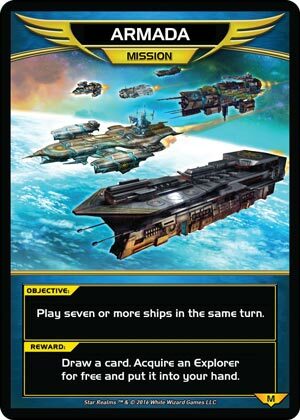 Two of the packs have Ships and Bases, and the other two have Heroes and our all-new card type: Missions! While I’ve never been a huge Blob guy (except after Thanksgiving! 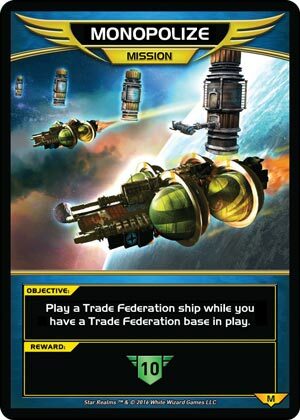 ), I do love Trade Pod. 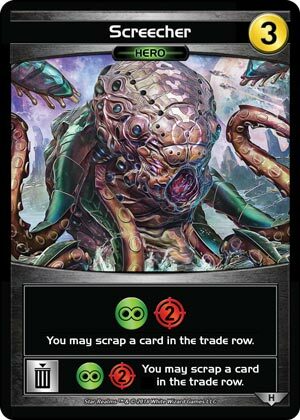 Baby Trade Pod speaks to that love, and also hits the ally triggers for the Star Empire cards that I keep buying. The Machine Cult and the Blobs are remarkably similar, except one is machine-based, and one is purely organic. (I’m hoping that this particular team up is only temporary, because electric plants terrify me!) The card is cool though. Five combat and two ally abilities! It’s like six cards in one! When the Coalition have a message for you, what do you get? The Coalition Messenger! 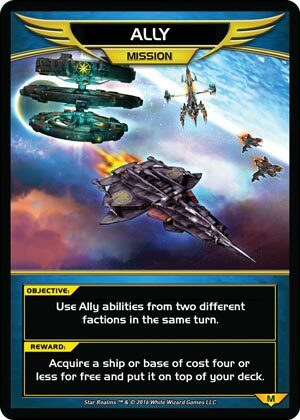 This is an interesting card, with a special Coalition ally ability. 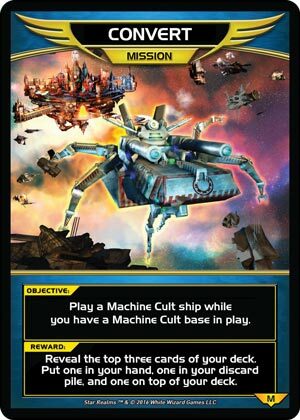 You don’t have to play a card that specifically matches this symbol, you can trigger it with either a Machine Cult card or a Trade Federation card. Once bitter rivals team up to make the Alliance. 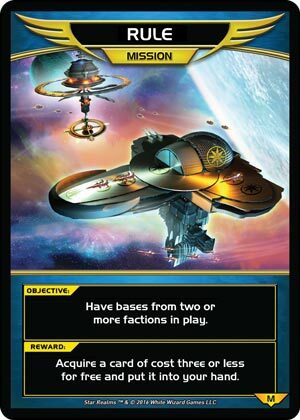 This combines two of the game’s most powerful abilities: discard and authority gain, all for the price of an Explorer. 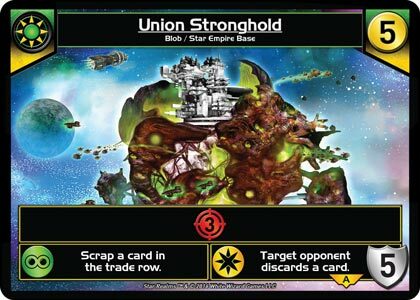 The Stronghold combines the might of the Star Empire with the ferocity of the Blobs. Probably not the friendliest place to dock your freighter. Sure, they hate each other, but they’re well-dressed and polite. It might not be Brain world, but it soaks up 6 damage as well as Brain World does, and it effectively increases your hand size to 6 (with some quality sifting). 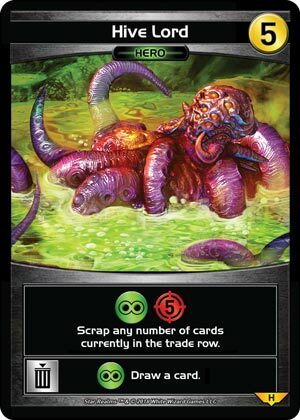 A tip of the hat to Cthulhu Realms with this ally ability, with the “scrap anywhere” option that’s always useful. 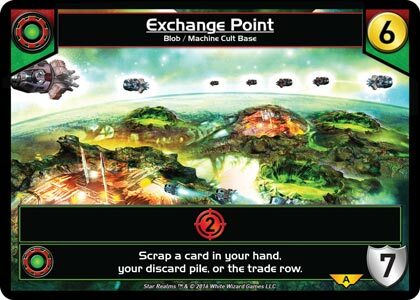 As with Coalition Messenger, you can trigger this ally bonus with either faction; in this case, Blob or Machine Cult. It also counts as both for triggering the ally abilities on other cards. 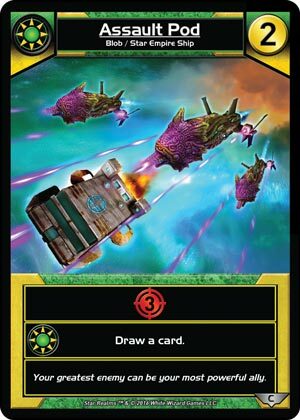 I suggested calling this card Flying Robot Space Spiders, which is what they are, but I was outvoted. 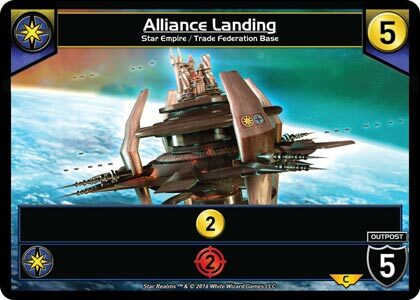 The Alliance Frigate combines the military might of the Star Empire with the free market juggernaut that is the Trade Federation. What could go wrong? 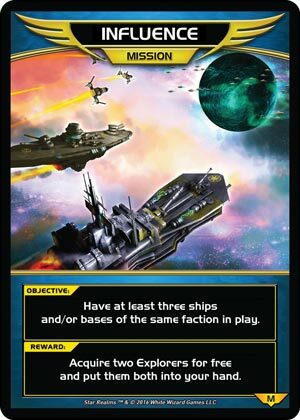 This ship packs a lot into a 4 cost package. 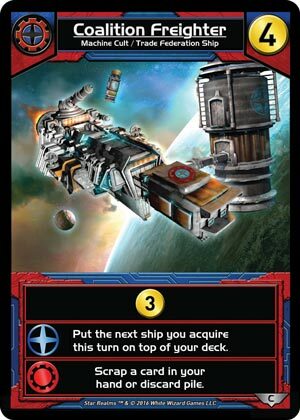 It generates trade, it puts ships on top of your deck, and it even scraps things. What more could you ask for? I mean, a pony, sure, but we don’t do ponies. Not sure what you want? 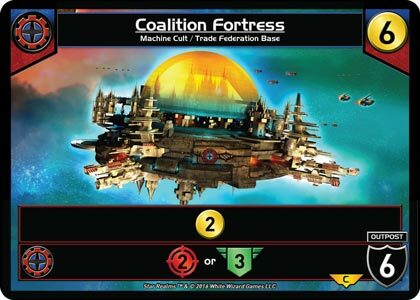 Coalition Fortress is for you. When big business teams up with a religious machine-mind, you can basically get anything. 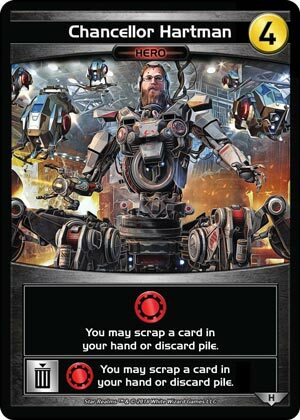 Scrap anywhere is back, and this time in station form! 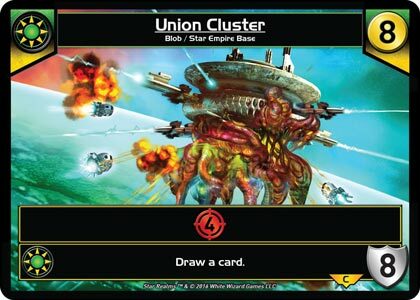 The octopus from Bride of the Monster survived, and has teamed up with the Star Empire. I’m glad, because he seemed nice. 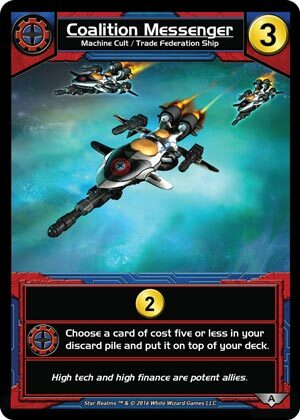 Our second Heroes mini-expansion has some very cool (and expensive) heroes. Some of these are based on real people! 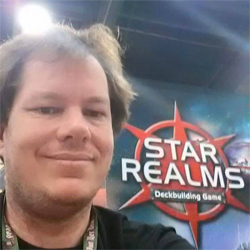 Brenton Klik won our first Gen Con event, in part of what we are now calling the Legend Series. 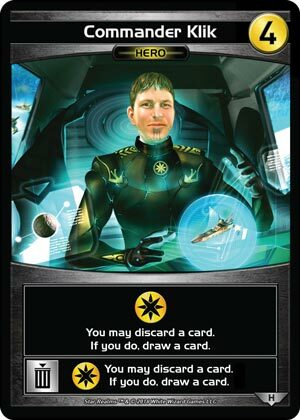 Brenton enjoys opera, walks on the beach, and discarding a card to draw a card. Since we couldn’t put those first two things in the game, the third one was a lock. 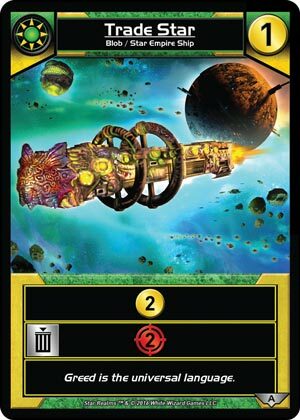 Our 2015 Origins winner wanted to be a cyborg tank thing that eats Vipers and Scouts, and what Reed Hartman wants, Reed Hartman gets. Especially delicious Vipers and Scouts. 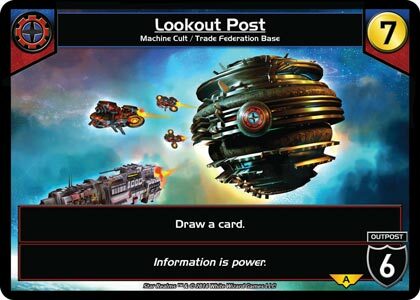 The Machine Cult is largely guided by the Grand Prophecy, which is a computer simulation designed to predict future events. Like all computer programs, there are glitches, and like all prediction mechanisms, it is sometimes wrong (what with free will and all). 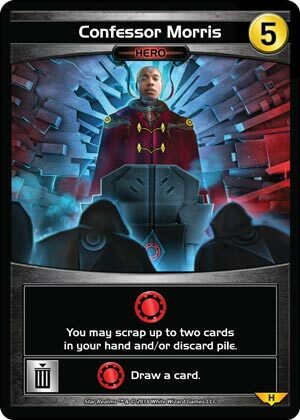 It’s the job of a Confessor to explain these discrepancies, and our Pax Prime 2015 winner Jimmy Morris is up to the task. 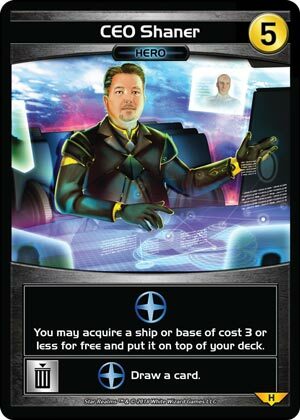 At 5 Trade, Confessor Morris is a tough early buy, but late deck-thinning can sometimes be the difference between drawing that last Scout, and drawing the Command Ship you bought last turn. 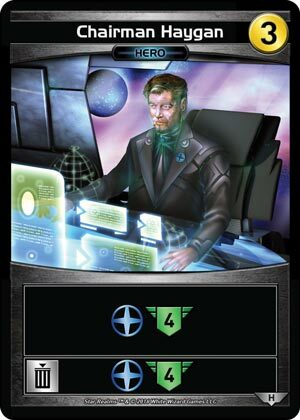 Commodore Zhang’s primary purpose is to assist Admiral Rasmusson when he really needs to destroy a base or draw a card. The card-draw-on-a-stick is pretty good, especially with so many effects that put a card on top of your deck. I really hope people start calling this “Zhanging” a card. Looks like Cthulhu won a Legend Series tournament. Or at least, we’re not willing to tell him he didn’t. 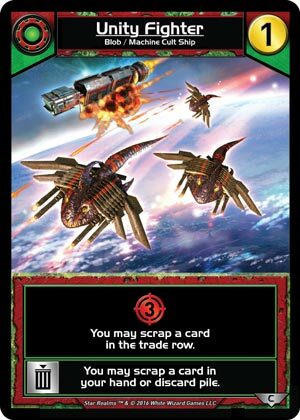 This is pretty good late-game, where you might generate a lot of trade, and get first bite of the top 5 cards of the Trade Deck. If nothing else, you get to turn 5 stupid, boring trade into 5 sweet, sweet combat. I was going to make a Saved By the Bell joke here, but I don’t want to. 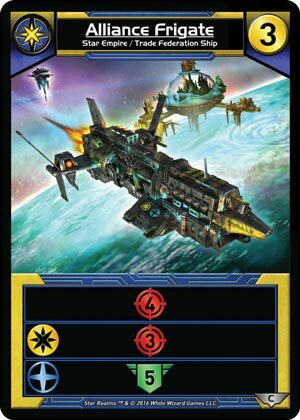 The fresh and exciting new card type for Star Realms! Missions give you an alternate win condition. Each player is dealt three Mission cards face-down. You can reveal a Mission when you complete the Objective (and then claim your reward!). 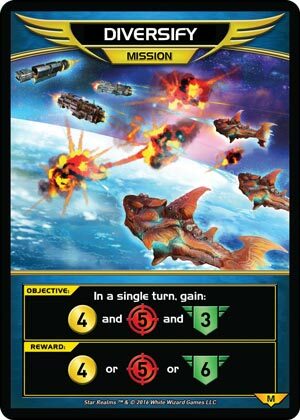 You can only reveal one Mission per turn, and only during your turn, but once you reveal that third Mission, you win the game! Seven ships is a lot, but hey…Scouts and Vipers count. The reward of a free Explorer is mandatory, but since it’s free, goes to your hand, and you can scrap it after you play it, we’re pretty sure you won’t mind. Everybody loves collecting bases. (Collecting acids is way harder!) I mean, like you really needed an excuse to acquire more bases. 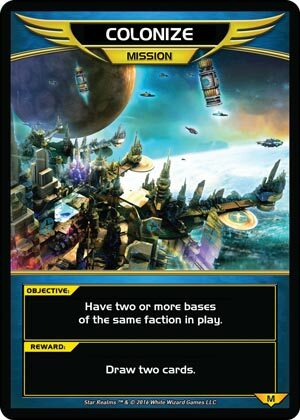 For the reward, since you reveal the 3 cards to all players, they will know which one goes to the top of your deck by process of elimination once your turn ends. 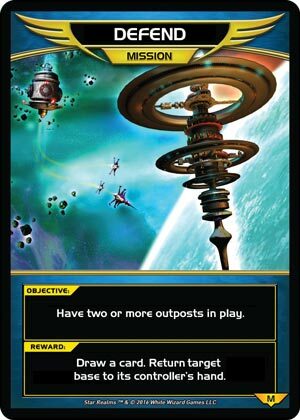 This one specifies Outposts. Otherwise, see Colonize. In case you’re wondering: If you gain 6 Combat from one source, it counts as gaining 5 Combat as well. Same for Trade and Authority. If you go over the number specified, you hit that target. 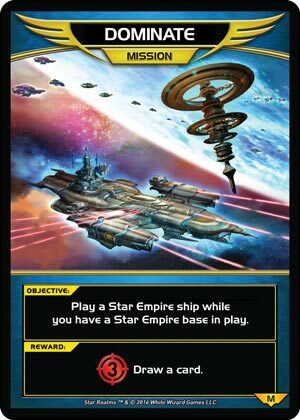 Works best with Star Empire cards! You’ll do the voice. You know you will. 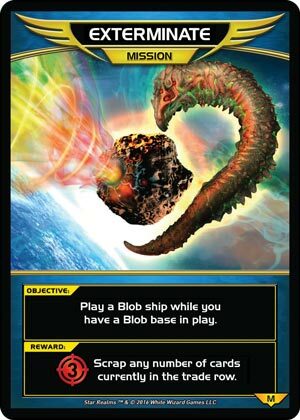 Is there any sweeter turn than one where you play 3 Blob Fighters? I submit that there is not. Since no other faction allows you to gain Authority, this title is accurate. You have to acquire from the Trade Row. No stealing your opponent’s stuff! It’s almost like when someone in a film says the title of the film! 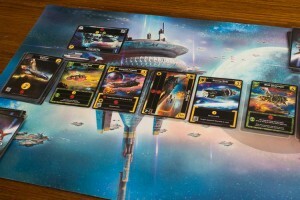 Like Crisis before it, Star Realms United is a lot of fun. 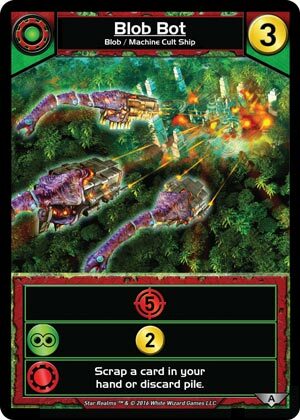 It adds some amazing flavor to Colony Wars, and plays well with the Base Set. 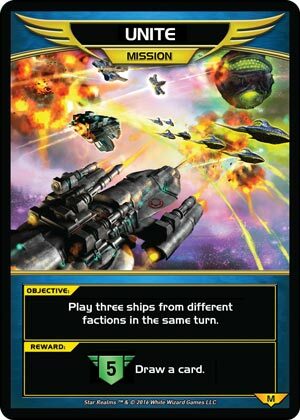 The new ship combinations are cool, new Heroes are beefier, and the Missions give the game a whole new dimension (and a way to bluff and make your opponent’s eye twitch). Now go forth and turn your Scouts and Vipers into way better things!